Fall is definitely my favorite season of the year. 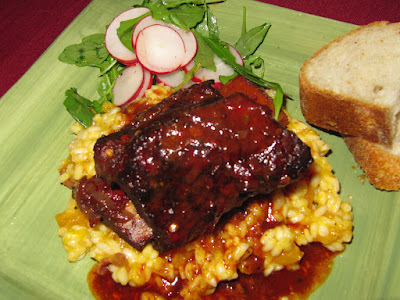 The weekend chill seemed like the perfect time to make some braised beef short ribs and butternut squash risotto. 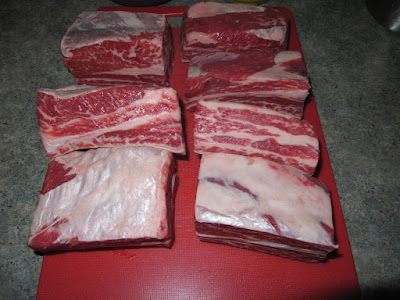 I began the short ribs by seasoning them with salt and pepper then searing them on all sides in a very hot dutch oven. 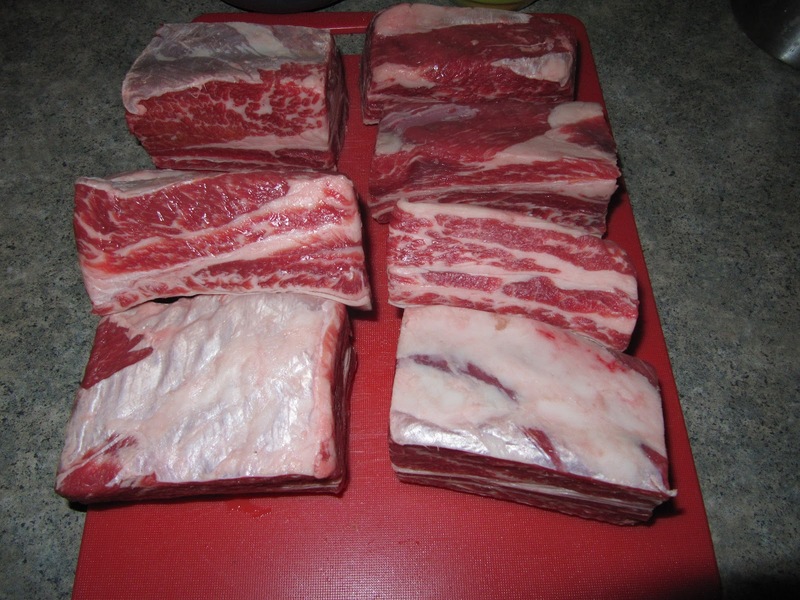 After removing the short ribs I added onion, garlic, diced carrots and celery to dutch oven to cook for a bit. To add warmth to the dish I added a combination of ground guajillo chiles, cumin, and Mexican oregano along with red wine as the braising liquid. 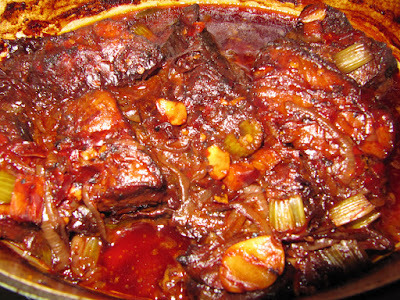 I returned the short ribs back to the dutch oven and cooked low in the oven for 3hours. The meat was falling off the bone and the pan sauce was rich with flavor. 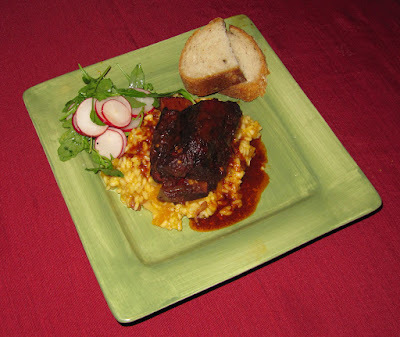 I placed the beef on top of the risotto and spooned some of the pan sauce on top. To complete the dish I made a quick arugula and radish salad with lemon juice to put on the side along with thick slices of bread. The acidity and bite of the salad counterbalances the richness of the beef and the bread was good for sopping up any juices. 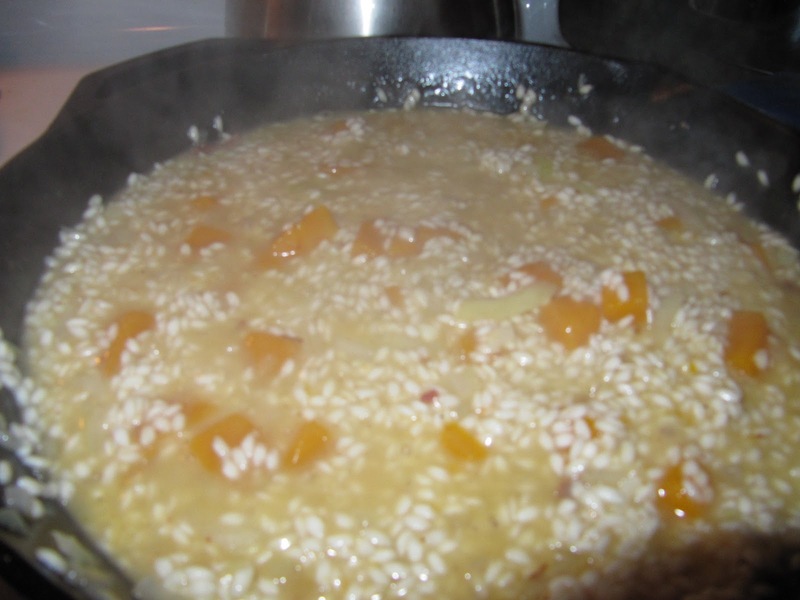 My favorite thing about this dish is how warm and comforting it is, perfect for the fall weather.